"It's like, how much more black can it be?" Roberts new piano black DAB - "it's like, how much more black can it be?" 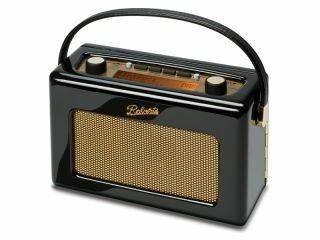 While the DAB radio industry is in crisis, what with Channel 4's recent decision to pull out of radio due to spiralling costs, it seems Roberts is more than confident that there is still a market for high quality DAB devices. Case in point, the company's stunning new limited edition Piano Black Revival DAB radios. "The bewitching black beauty has it all; a fabulous high gloss piano black finish, stunning gold trim, the classic Roberts Revival design and the latest DAB and FM features." This baby is not all about good looks, with a 120-hour battery life, and the usual station presets and stereo line-in socket for iPod/MP3 playback. TechRadar has quickly updated our 'most coveted stuff we want but will never get for Christmas list'. £200. Get one. Quick!